Arapahoe Community College authorizes Parchment to manage the ordering, processing, and secure delivery of your official ACC transcripts. Need help? 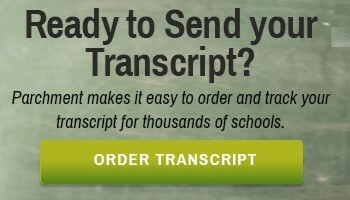 View Step by Step Directions for Ordering a Transcript through Parchment or contact Records and Enrollment Services at 303.797.5621 or records@arapahoe.edu. Learning institutions, businesses, law firms, etc. must provide a valid Student Release of Information and $5.00 per transcript (normal processing time). If you do not have a credit card, you may order a transcript in-person through the Records and Enrollment Services during normal business hours. For questions or to report a problem with your order, please contact Records and Enrollment Services at 303.797.5621 or records@arapahoe.edu. Want to view your unofficial transcript? Active students can view their unofficial transcripts online.